“Kidney Warrior” desperately need a Kidney transplant. 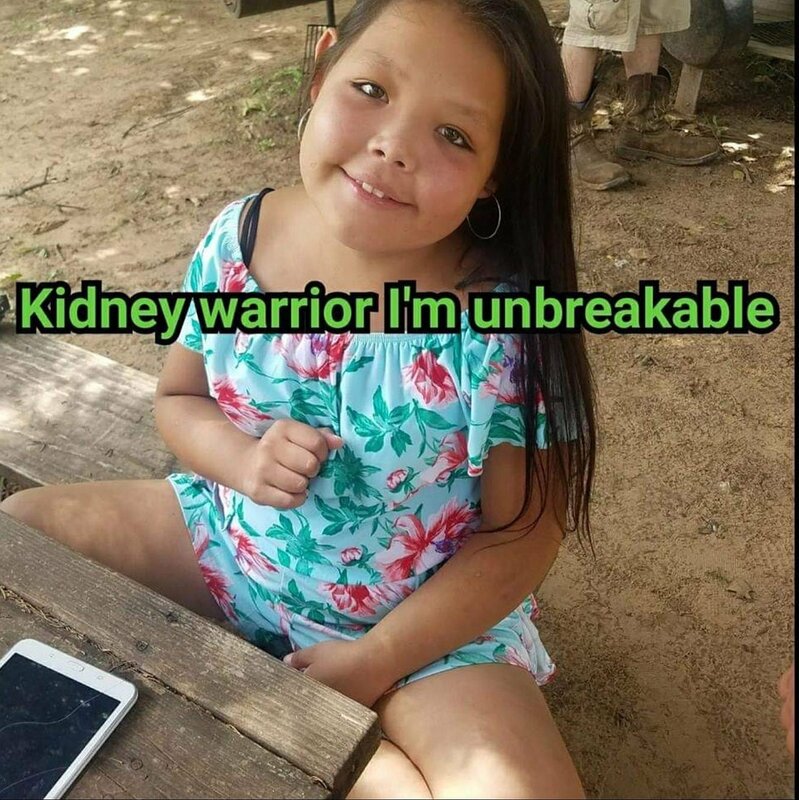 Keyara’s long battle with kidney disease has come to a critical point in her life to where she is in need of a transplant to survive. We are asking everyone who can to help join us and Help Hope Live to raise funding for Keyara’s hospital expenses as well as prescriptions and transportation. Keyara has always lived a positive life. Keyara is watched by many people in the community for she has had this renal insufficiency for 14 years. She has a life goal to be a kidney doctor for children. She likes giving people her arts and crafts to hang up all over. Keyara’s many expenses are rising. Even with insurance most expenses are not covered. Prescriptions are high already and will be higher after transplant. Donations will also help with transportation. We drive over 100 miles a day about 3-4 times a week to the hospital. Any donation to Help Hope Live can help Keyara’s family better her chances in life to receive a transplant and take care of the financial help with prescriptions. Keyara’s family has chosen to fundraise for Help Hope Live in part because Help Hope Live assures fiscal accountability of funds raised and tax deductibility for contributors. Contributors can be sure donations will be used to pay or reimburse medical and related expenses. To make a tax-deductible donation to this fundraising campaign, click on the Give button.